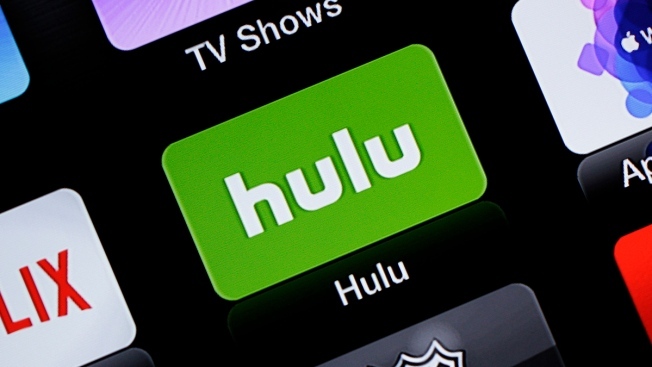 FILE - This June 24, 2015, file photo shows the Hulu Apple TV app icon in South Orange, N.J. Hulu has teamed up with the owners of the World Record Egg Instagram account to raise awareness about mental health resources. This Instagram famous egg is taking a crack at discussing mental health. In a 30-second-long Hulu spot released on Super Bowl Sunday, Eugene the egg appeared with cracks fracturing his shell. The egg then directed viewers to Mental Health America’s website. Since Jan. 18, the egg account has been posting photos showing that cracks in its shell have been increasingly worsening. The video was also posted on the World Record Egg Instagram account and the caption pointed Instagram users to visit talkingegg.info to find a detailed list of mental health organizations around the world. The talking egg first gained popularity as a stock photo when it started an Instagram campaign to have a post with more likes than Kylie Jenner’s post of her newborn daughter. Jenner’s post previously held the world record for the most-liked Instagram post with nearly 18 million likes. The World Record Egg’s first post has since amassed more than 52 million likes. Chris Godfrey, a 29-year-old employee at a London-based advertising agency called The&Partnership, has been revealed to be the owner of the World Record Egg account. He’s also had help from his friends Alissa Khan-Whelan, 26, and C.J. Brown, 29, The New York Times reported. "World_Record_Egg started as something fun to challenge and question social media from the creators at Egg Gang, but quickly turned into an opportunity to give the world a bit of hope and positivity," the creators wrote in a press release emailed to NBC. The team added that the goal of their first project was "to raise awareness around social media and its impact on mental health, encouraging people to speak up when they need to." Mental Health America took to Instagram to thank the World Record Egg for shedding a light on mental health. Erin Wallace, Mental Health America’s chief communications officer, said the organization was excited when the team behind A World Record Egg asked if they could list Mental Health America on the Hulu clip. CNBC and others reported that the Instagram account's more than 10 million followers also made it an appealing investment for marketing companies looking to advertise their products to a global audience. "Being the first brand to crack out of the egg is worth at least $10 million," VaynerMedia's head of direct-to-consumer business Nik Sharma told The Atlantic. Sharma had predicted that advertisers might be more willing to invest in the egg than in the Super Bowl. The fact that Hulu is paying the egg's team, as reported by the New York Times, is an example of the financial benefit the egg can bring to its creators. "We chose to partner with Hulu because they gave us the opportunity to spread our message," reads the press release, "and most importantly, do so on the Egg’s terms."